What was the FBI doing in Mandalay Bay room 32-132 after the shooting if the crime scenes were local to rooms 134, and 135? 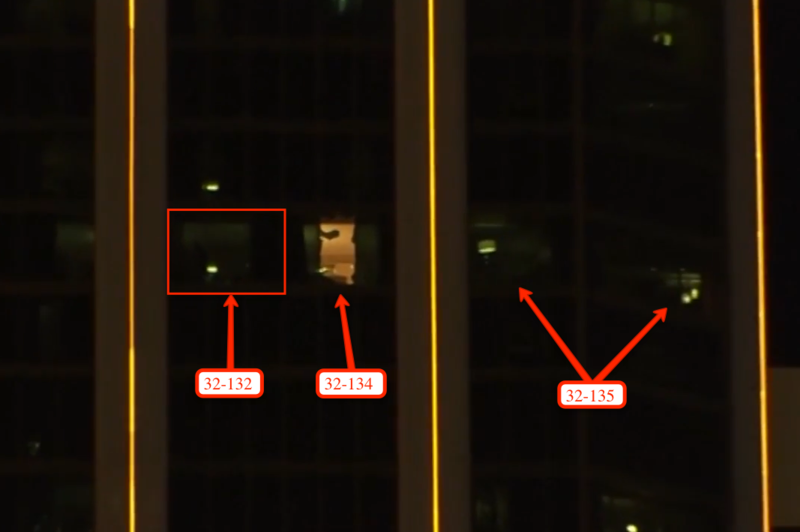 Two FBI agents were captured on film working inside of Mandalay Bay Resort and Casino room 32-132 on the night of the 1 October massacre after the gunfire subsided but what were they doing there? It is currently unknown what two FBI agents were doing inside room 32-132 when the crime scene reportedly only encompasses rooms 32-134, 32-135, and the hallway but one can only speculate. 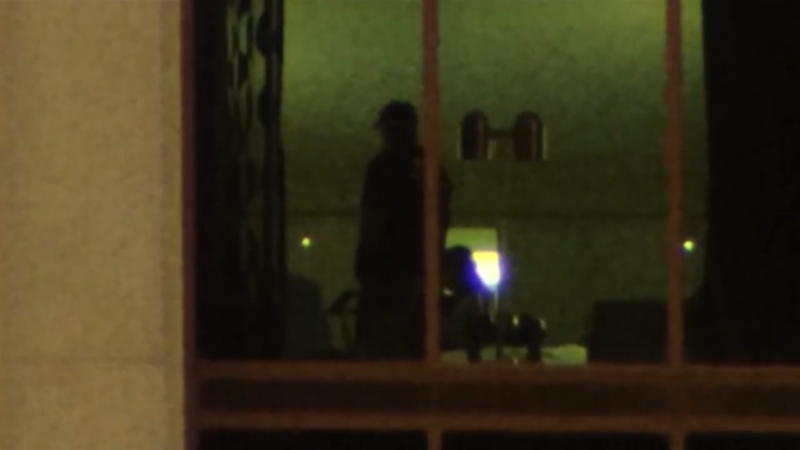 Were the agents already set up inside the room before the shooting? This is a possibility. Sources close to Intellihub have divulged that the FBI was present on the 32nd-floor prior to the shooting but such information has not yet been independently confirmed by Intellihub as of yet. Was room the room occupied at the time of the shooting and if so was the occupant or occupants struck by gunfire? These are all important questions to ask. Take a look at the layout at the following image, in it, you can see the room that the two FBI agents were spotted in. It’s on the left inside of the red box. That is room 32-132. In the next image, you can clearly see that the FBI is inside. What are they doing? All of this was proven by the “WAPTEK” YouTube channel on Jan. 20, 2017, when the channel’s operator offered up all of the details in a bombshell 13-minute piece. *A big hat tip to WAPTEK for exposing this.